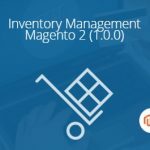 Below, we describe one of the most demanded Magento 2 improvements that completely revamps the way customers interact with your e-commerce website. Meet Magestore Social Login – a tool that provides the fastest possible way of both login and registration with the help of social accounts. It’s a pity that Magento 2 does not provide this functionality by default, but you can always rely on third-party extensions. So, how does the module functions from the perspective of backend and frontend? 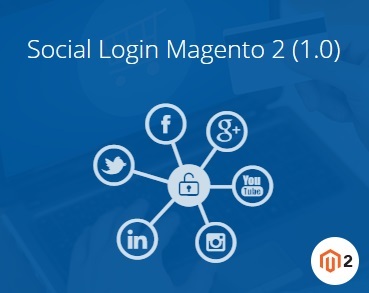 We fully describe both sides in the following Magento 2 social login extension tutorial. 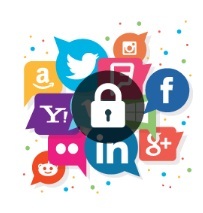 Social login buttons on various store pages. Support for all major social networks: Facebook, Twitter, Instagram, Linkedin, Google, vk.com, ok.com, Pinterest, PayPal, etc. 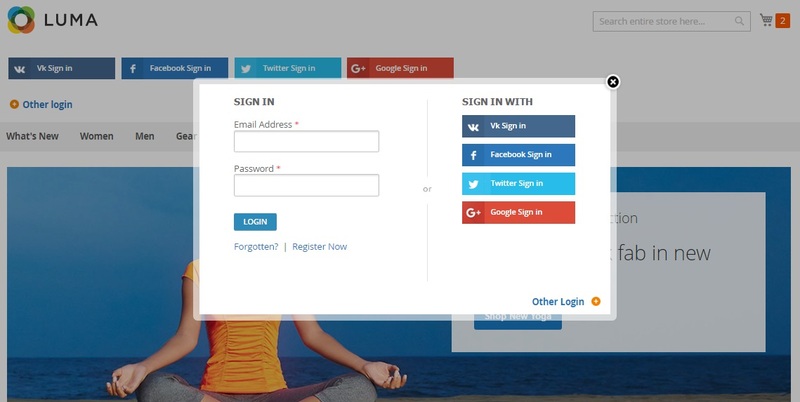 Social login buttons on login and checkout pages. 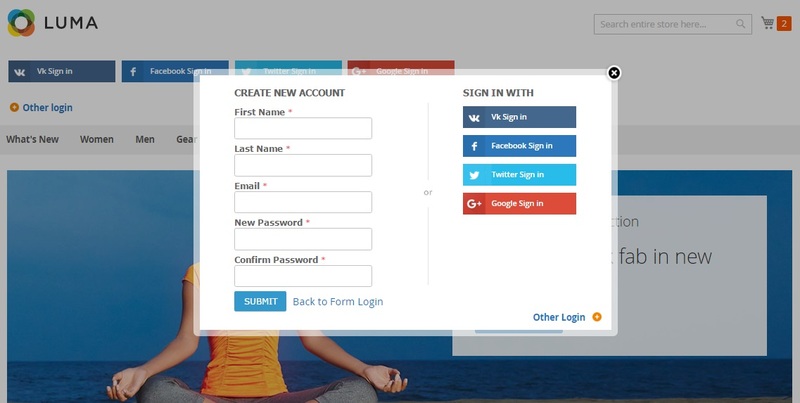 Custom post-login page and social login bar position. As a store visitor, you get significantly simplified registration and login procedures. 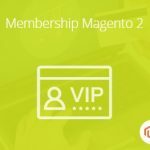 The Magestore Social Login Magento 2 requires selecting a preferred social account to create a new account or login with the help of the existing one. There is no need to pass the default procedure with lots of fields. Note that it is possible to choose among 18 account types. And you can register a new account as normal or edit the newly created one. We describe all these and more features below, but let’s take a look at the extension’s backend first. 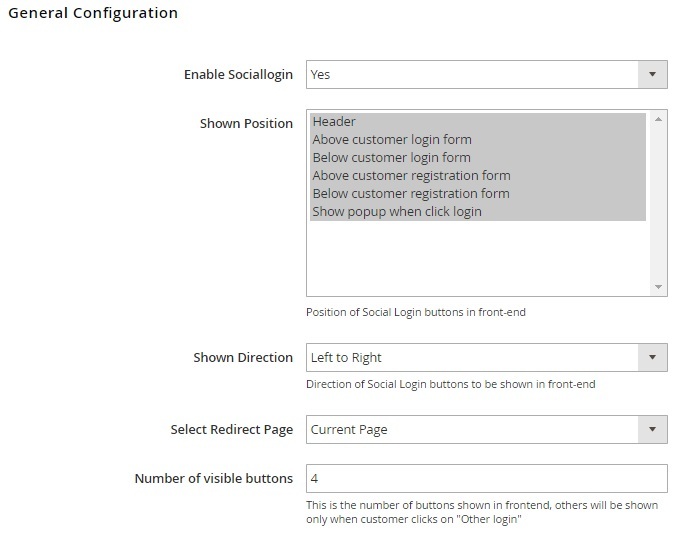 The backend section of the Magestore Social Login Magento 2 extension is relatively huge since it includes blocks related to each social account type. Thus, you can separately customize login/registration via Facebook, Twitter, Instagram, Amazon, Google +, Yahoo, AOL, WordPress, Clavid, Orange, Foursquare, LinkedIn, MyOpenId, LiveJournal, Persona, Stack Exchange, and VK. As for General Settings, they allow you to enable/disable the frontend functionality of the module, choose accounts position (Header, Above customer login form, Below customer login form, Above customer registration form, Below customer registration form, Show popup when click login), and specify shown direction (Left to Right or Right to Left). 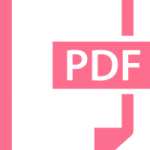 Besides, you can select a redirect page: it cn be a current page, a cart page, a home page, an account page, or a custom page (should be specified in a corresponding field). The General Configuration section also allows you to set a number of visible buttons. For each account block, you can specify a sort order. Thus, you can arrange account buttons on the frontend. 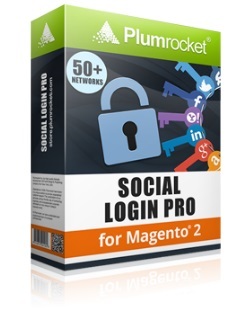 It is also necessary to mention that Magestore Social Login provides the ability to put the social login button block in any preferred position. There are several сode snippets and description of how to use them. 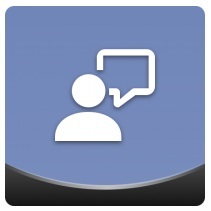 The very first thing you see on the homepage is a new opportunity to log in with the help of social buttons. There are 4 visible buttons (their quantity is customizable) and a button that brings the popup with other social accounts. You can edit account information via the Account Dashboard tab in your customer account. It is also possible to change billing and shipping addresses here. As for other account information, it can be customized on the Account Information tab. Here, you can change both first and last names as well as email address. Besides, it is possible to change password here. 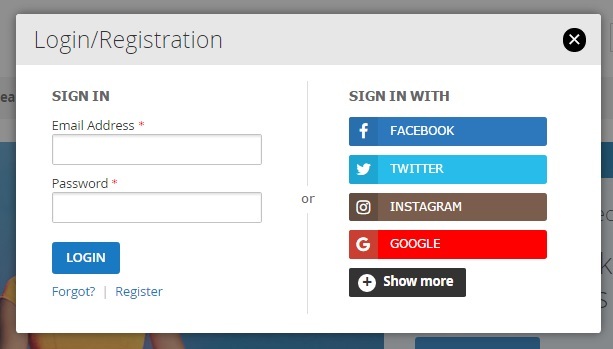 For various positions of the Social Login form, check the official extension’s page. 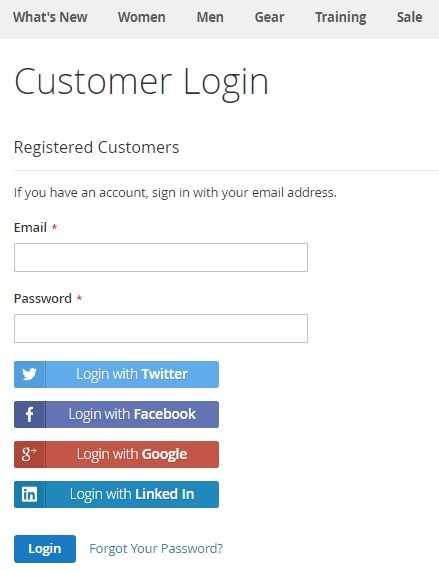 Social login functionality is a must-have improvement for every e-commerce store. It dramatically improves shopping experience as well as increases the number of registered customers. 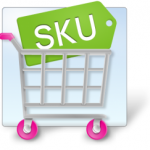 And Magestore offers such an important feature for just $199, the appropriate Magento 1 module costs only $99.